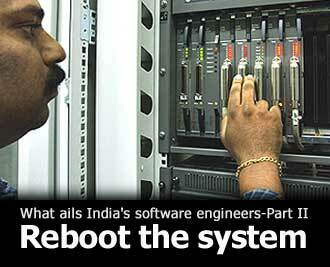 Indian computer engineers are good at theory but not well equiped in practical aspects! Learn more from the link below. Must watch for all visitors. Also make sure you watch the videos available from the Emirates Group Careers website. The site contains three videos on Business in Dubai, Living in Dubai and Tourism in Dubai. Great new phones from i-mate with wi-fi support, MS Mobile 2005 and 1.3 MP camera! Missed the game last night? No worries mate... This site has the goals for you... Also check out the sister site Soccer Clips for some interesting video clips! AmigaOS 4.0 is going to be here soon! I stumbled on this site today and I am really excited :) I love Amigas and I still use UAE's on my PC and PSP! Kick Off, Sensible Soccer and Rick Dangerous are all great but with Amiga OS 4 you can do much more exciting things. It is both powerful and effecient :) Just look at this great footage and tell me that you are not convinced!.... IT IS FAAAAAAAST! Here are 20 good reasnons why you should get one! Search Google backwards... Don't know what I mean? Try the link then!